A superb solid pine step chest/cabinet available in either left facing or right facing. 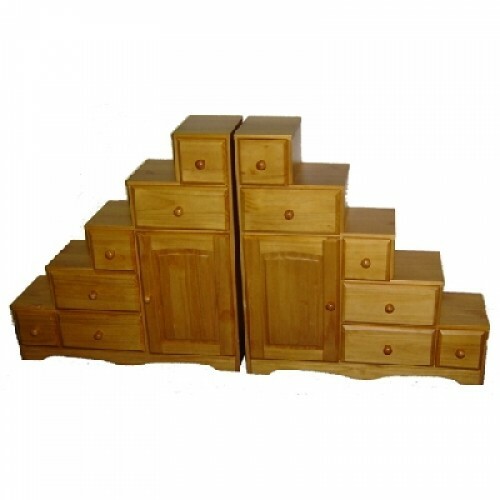 Consisting of 6 drawers and a single door a real must for any room. The drawer runners are also made of wood. This is a very desirable item of furniture. Cambrian Step Chest is manufactured by our associated factory in South America. Please Note: Two Step Chest units are displayed above.